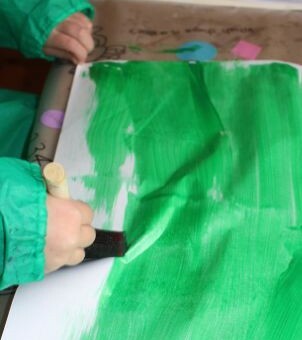 Big L’s birthday is coming up and A wanted to make some special wrapping paper to wrap his presents in. 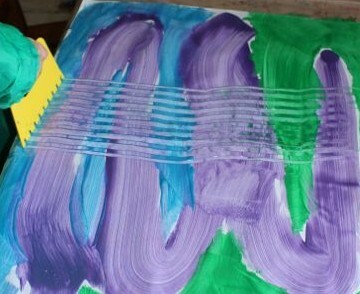 She chose to use metallic paints and paint scrapers for this activity. 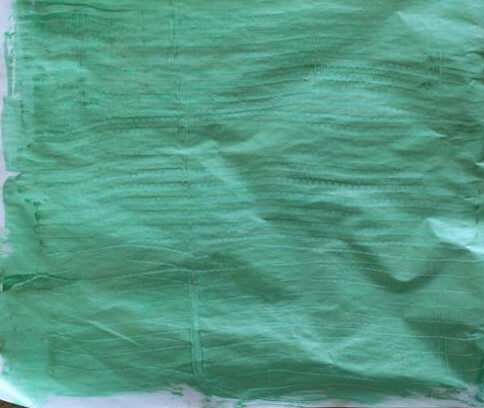 The paint scrapers we used. 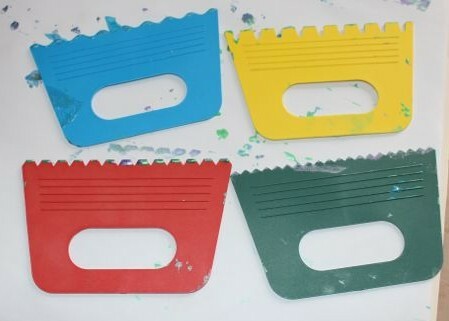 I bought the paint scrapers at Riot Art & Craft for a few dollars. They are sturdy plastic and each one has a different edge to make different patterns. 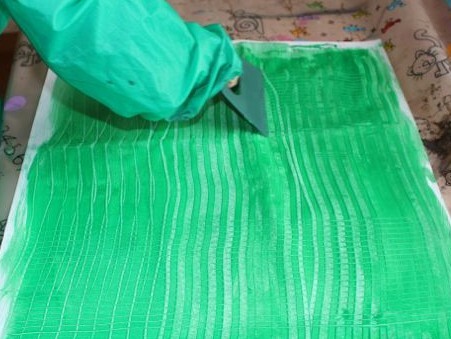 A used a sponge brush to spread the paint over the paper, and then while it was still wet she used the paint scrapers to make patterns in the paint. 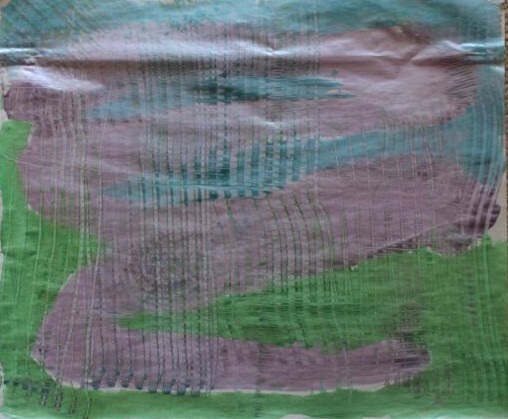 Most of her paintings were done in one colour, but the one I like the best has three metallic colours. It’s a bit hard to tell in the photos, but the metallic paint looks fantastic! A really liked using the paint scrapers in one direction, and then in the perpendicular direction to create a pattern of squares. Using one of the scrapers. L and A also did some paintings using normal paint and the paint scrapers. 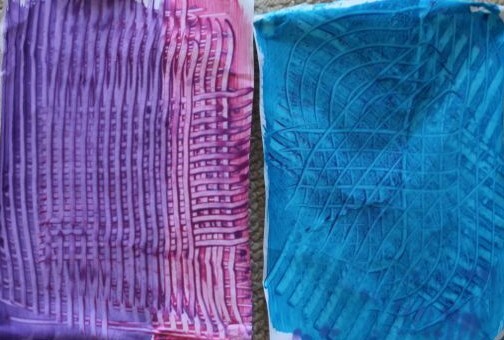 They both created some lovely artworks using this method. 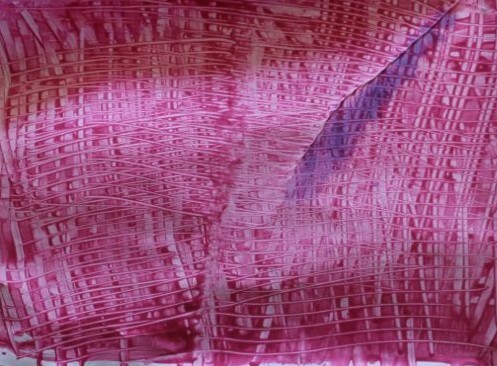 The patterns that the paint scrapers left were more obvious in the normal paint than in the metallic paint.